Monday 10th - Sunday 23rd April | Moana - 10am every day. Tickets cost £2.49 per ticket. Monday 10th - Thursday 13th April | Monster Trucks - 10am every day. Tickets cost £2.50 per ticket. Friday 14th - Thursday 20th April | Moana - 10am every day. Tickets cost £2.50 per ticket. Friday 21st & Saturday 22nd April | Ballerina - 10am every day. Tickets cost £2.50 per ticket. 15th & 16th April | Ballerina - Time to be announced | Tickets cost £1.50 per ticket. 22nd & 23rd April | Trolls - Time to be announced | Tickets cost £1.50 per ticket. 22nd & 23rd April | Zootropolis - Time to be announced | Tickets cost £1.50 per ticket. Every weekday morning from 10am, join Tyneside Cinema's Bar Cafe for their Egg and Soldiers Club. There will be FREE cartoons on the big screen, toys to play with and kids meals are half price when purchased with any adult meal. 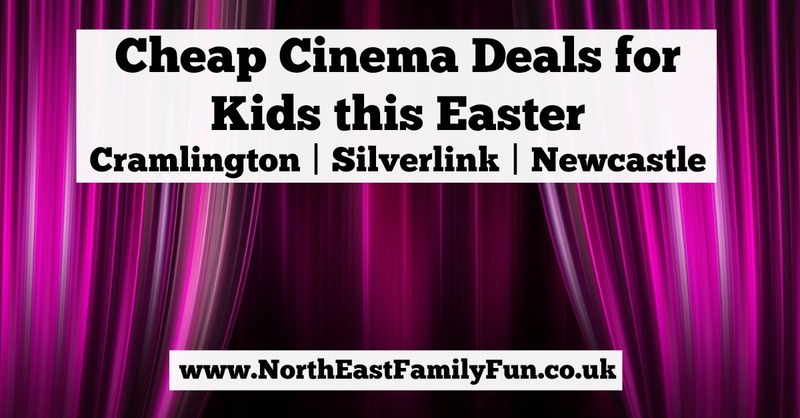 SILVERLINK: After catching a film at Silverlink, again you can head to Nandos or how about Bella Italia or Pizza Hut? Why not join our North East Days Out Facebook Group here for more ideas for where to take the kids this Easter?